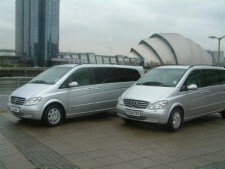 Established in 1993 Sandown Limousine provides a high class and confidential Chauffeur Driven Car service to the North East Region we have built our reputation on a confidential and reliable service, Our Staff are all highly trained in all aspects of chauffeur Drive and are experienced and friendly. Ray Hunter is a proactive operator with a hands on approach Ray likes to keep regular contact with customers to ensure that standards are maintained. Our current fleet of executive cars and limousines include, Jaguar XJ and XF Saloons.